In line with the present-day stress on the need for religious teachings to be personally relevant and directly verifiable, in certain Dhamma circles the time-honored Buddhist doctrine of rebirth has come up for severe re-examination. 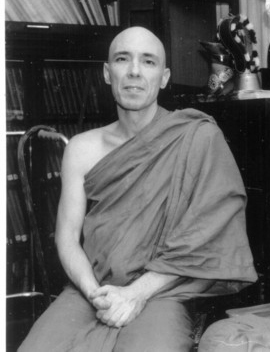 Although only a few contemporary Buddhist thinkers still go so far as to suggest that this doctrine be scrapped as “unscientific,” another opinion has been gaining ground to the effect that whether or not rebirth itself be a fact, the doctrine of rebirth has no essential bearings on the practice of Dhamma and thence no claim to an assured place in the Buddhist teachings. The Dhamma, it is said, is concerned solely with the here and now, with helping us to resolve our personal hangups through increased self-awareness and inner honesty. All the rest of Buddhism we can now let go as the religious trappings of an ancient culture utterly inappropriate for the Dhamma of our technological age. If we suspend our own predilections for the moment and instead go directly to our sources, we come upon the indisputable fact that the Buddha himself taught rebirth and taught it as a basic tenet of his teaching. Viewed in their totality, the Buddha’s discourses show us that far from being a mere concession to the outlook prevalent in his time or an Asiatic cultural contrivance, the doctrine of rebirth has tremendous implications for the entire course of Dhamma practice, affecting both the aim with which the practice is taken up and the motivation with which it is followed through to completion. The Buddha himself has clearly indicated that the root problem of human existence is not simply the fact that we are vulnerable to sorrow, grief and fear, but that we tie ourselves through our egoistic clinging to a constantly self-regenerating pattern of birth, aging, sickness and death within which we undergo the more specific forms of mental affliction. He has also shown that the primary danger in the defilements is their causal role in sustaining the round of rebirths. As long as they remain unabandoned in the deep strata of the mind, they drag us through the round of becoming in which we shed a flood of tears “greater than the waters of the ocean.” When these points are carefully considered, we then see that the practice of Dhamma does not aim at providing us with a comfortable reconciliation with our present personalities and our situation in the world, but at initiating a far-reaching inner transformation which will issue in our deliverance from the cycle of worldly existence in its entirety. Our motivation acquires the requisite maturity by the cultivation of right view, the first factor of the Noble Eightfold Path, which as explained by the Buddha includes an understanding of the principles of kamma and rebirth as fundamental to the structure of our existence. Though contemplating the moment is the key to the development of insight meditation, it would be an erroneous extreme to hold that the practice of Dhamma consists wholly in maintaining mindfulness of the present. The Buddhist path stresses the role of wisdom as the instrument of deliverance, and wisdom must comprise not only a penetration of the moment in its vertical depths, but a comprehension of the past and future horizons within which our present existence unfolds. To take full cognizance of the principle of rebirth will give us that panoramic perspective from which we can survey our lives in their broader context and total network of relationships. This will spur us on in our own pursuit of the path and will reveal the profound significance of the goal toward which our practice points, the end of the cycle of rebirths as mind’s final liberation from suffering.